Parents harbor a special vision for their child’s everyday moments. An attentive child listening to the teacher and excelling in the classroom. A grinning face as their little one hands over a report card filled with high marks and glowing feedback. An engaged athlete, focused on winning the game and supporting their teammates. A introspective artist creating their next masterpiece. These visions are easily disrupted by ADD and ADHD. The ability for their loved one to focus, learn, be present and engaged is hindered by the brain. And the solution that most western doctors provide is a lifetime of medication, something many parents are hesitant to do. At Johnson Chiropractic Neurology & Nutrition, we use a combination of neurofeedback brain training and Interactive Metronome exercises to “retrain the brain” and functional medicine practices combined with dietary modification and food sensitivity reduction/elimination to help your child regain the confidence and focus they need. ADD/ADHD has become so common almost everyone knows a family coping with this frustrating condition. Most of us only see the behavioral effects of ADD/ADHD…the lack of focus and organization, lagging social skills and the frustration that comes with it all. Parents not only worry about how their child will make it through school, but will their condition affect the kids ability to hold down a good job, could ADD/ADHD even limit their ability to make a living and realize their full potential in life? It’s not that these kids can’t focus, they can certainly pay attention to highly stimulating activities like video games and TV, but they can’t stay focused when the environmental stimulation is low. They start to daydream, figet and disconnect from the situation. They often don’t even know they are doing it. And, certainly they don’t know how to stop it. Because ADD/ADHD is a neurological problem affecting the nerve pathways between the cerebellum, thalamus and frontal lobe. Medications often only brings temporary relief because they don’t address the underlying cause of this brain imbalance. Dr. Melillo wrote a groundbreaking book called, “Disconnected Kids”. In his book, Dr. Melillo describes what happens to the brain and how the brain becomes imbalanced (AKA Functional Disconnect Syndrome). He also talks about how functional neurology (Brain-Based Therapy) along with nutrition has brought amazing results for thousands of kids throughout the country. Our breakthrough treatment utilizing a combination of functional neurology, functional medicine and integrative medicine focuses on re-establishing communication in the brain and balancing body chemistry. Your child will go through a 3-STEP PROCESS. STEP 1 - A functional neurologic evaluation performed to determine if your child is a candidate for brain-based therapy. Metabolic evaluation using specialized lab work. We do not accept children younger than 7 years old. Parents and the child must be committed to the treatment protocol. We only accept up to four new children a month with ADD or ADHD so we can focus our attention of their specific needs. STEP 2– If accepted into care, your child will receive specific brain-based therapies like Interactive Metronome™, Eyelights Therapy™, Neurofeedback, Unilateral spinal adjustments, specific dietary/supplementation directions, and other treatment deemed necessary to maximize their progress. With time-tested well researched technology we can assess the brain function using our neurofeedback system. You can learn more by clicking here. Be sure to check out the Interactive Metronome Home (IM-Home) website! Neurofeedback is a process of training brainwaves back into healthy patterns using modern computer technology. Alterations in brain function are often associated with musculoskeletal dysfunction. This non-invasive and drug free approach uses brain imaging technology to record brainwave activity and identify unhealthy brainwave patterns. Once irregular patterns have been identified, they can be corrected using guided audio and visual feedback. This amazing new technology has also proven itself effective over several decades in clinics nationwide with depression, anxiety, ADHD, fibromyalgia, migraines, chronic pain and a host of other disorders and Dr. Karl R.O.S. 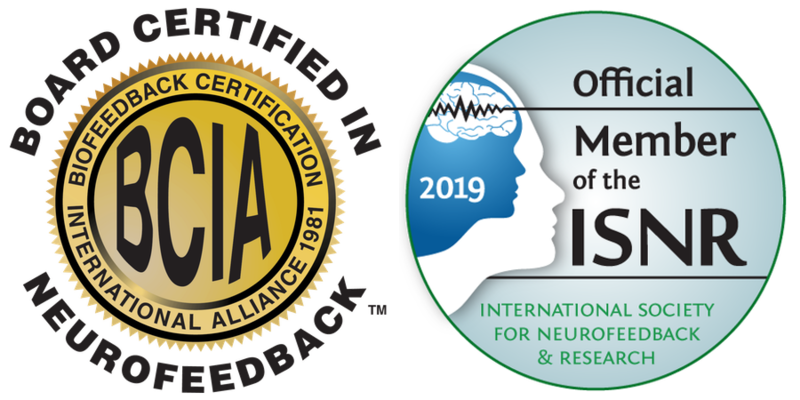 Johnson is board certified in neurofeeback through the Biofeedback Certification International Alliance. For more information and research, please visit our neurofeedback page at www.MichiganBrainHealth.com. STEP 3 – Your child will be continually evaluated for progress toward graduation from the program. FINALLY, once your child graduates from our program their is usually no need for further care. That’s right, the results stick! Nothing warms our hearts more than to see a conflicted and distracted child make a complete transformation and embrace a life they thought would never be possible— a life filled with focus, achievement, confidence and a joy for learning. *Note: One of the modalities I use to help optimize brain function is neurofeedback. Basic learning theory is the backbone of EEG biofeedback, which is more well known as neurofeedback. Neurofeedback trains the brain to enhance self-regulation and helps the body to find more efficient pathways so the body is better able to manage and heal itself. We do not ‘treat’ conditions with neurofeedback, but assist the nervous system to make adjustments to improve function. As such, neurofeedback has been shown to be profoundly helpful for improving, remediating, or alleviating, a wide spectrum of conditions. Michigan Brain Health makes no claims that it can cure any conditions, including any conditions referenced on its website or in print materials, including ADHD, anxiety, autism, depression, traumatic brain injury, post-traumatic stress disorder, migraines, headaches, stress, sleep disorders, Alzheimer’s and dementia. If you take prescription medications for any of these conditions, you should consult with your doctor before discontinuing use of such medications.